Off the beaten track (OTBT) was set up in the mid 90’s to enable friends and acquaintances who were keen on independent travel to Kerala / South India (long before it became a top notch destination in travel magazines and guides) to get a true feel for the region, experience the culture, customs and traditional food whilst gaining a unique perspective that comes through the interaction with local people and families of good standing, by residing with them. 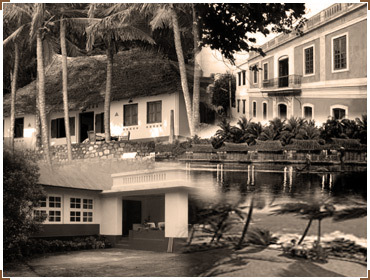 We featured homestays as the main focus combining it with heritage hotels and beach resorts. Our pioneering homestay tailormade tours to the region have now become a mainstay in most tailormade and independent tours to Kerala and South India and much sought after by the discerning traveller because of its memorable experiences and suitability for couples, families and retired folks who have more time to spare. Linking up with our partners in the region, we were able to take discerning & independent travellers to the heart and soul of Kerala and South India and were not constrained by the geographical location of resorts or hotels. Most visitors went as 'curious' guests but have come back having made good, firm friendships and stayed in touch. Referrals by satisfied clients has been the mainstay of our business . We don’t aim to be the largest nor the biggest so that prospective clients don’t become a serial or tour number ruining the personalised nature of our unique tour. We operate a Clients Trust Account for your Financial Protection in compliance with EEC & CAA / ATOL regulations. All monies given to us are held in trust till the completion of your holiday and then released to us by our bankers in conjunction with a solicitor / accountant. More details in terms & conditions. More details in Terms & Conditions. We have no deals with any of the Hotels or Resorts and are happy to book any property in the region that appeals to our prospective clients after consultation with our partners and their network of associates. Our partners in Kerala / South India are Concord Exotic Voyages who are a well established and premier tour , ticketing & Destination Management Company with several years of experience in executing every need of the discerning independent traveller with intimate knowledge and connections in the area.